Published May 23, 2018 at 6:00 p.m.
Editor's note: The following sponsored content was provided by Concordia University Wisconsin. When Shitanshu Saini and Manisha Dhillon left their home in northern India to pursue an MBA degree in strategic marketing from Concordia University Wisconsin, friends told them they were crazy and urged them to change their major. A degree in computer science would be much more conducive to landing a job in America, the friends said. In a sense, their friends were right. Computer-related jobs consistently account for a large share of the work visa petitions that employers file on behalf of non-citizens each year. But Saini and Dhillon decided to stick with what they knew and loved best, even if it ended up costing them their chance to live and work in the Land of the Free. Two and a half years later, the pair's gamble paid off when both Saini and Dhillon were chosen to receive their H-1Bs, the visas issued to foreign workers in specialty occupations. Each year, 85,000 H-1B visas are issued to foreign workers, and hundreds of thousands of people annually apply for them. The odds of one person being chosen were unlikely enough, but for both, it was an American dream come true. While the H-1B recipients are selected by lottery, the ticket to the U.S. wasn't without its fair share of effort and determination on the young Indian couple's part. 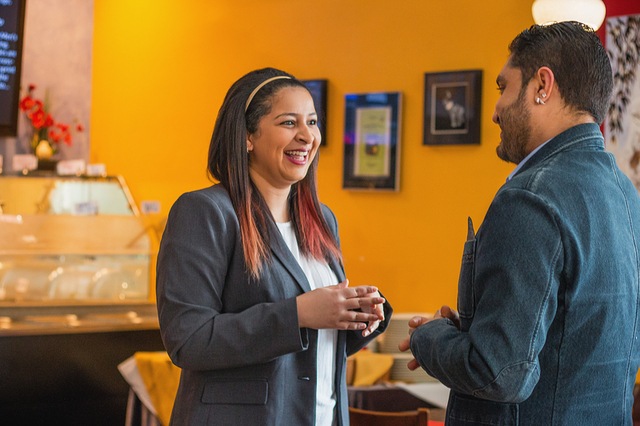 Prompted by a class requirement, Saini and Dhillon reached out to Milwaukee-area Indian cuisine restaurant owner Rakesh Rehan to request internships the year before they were scheduled to graduate from CUW. Once on board, they put their Concordia education to work, targeting their advertising to attract more foot traffic, experimenting with changes in service style and adding fusion cuisine to modernize the buffet. Within weeks after the pair started, Rehan said he noticed the difference and was ready to keep the promising young workers on for the long haul. And how could he not be impressed? 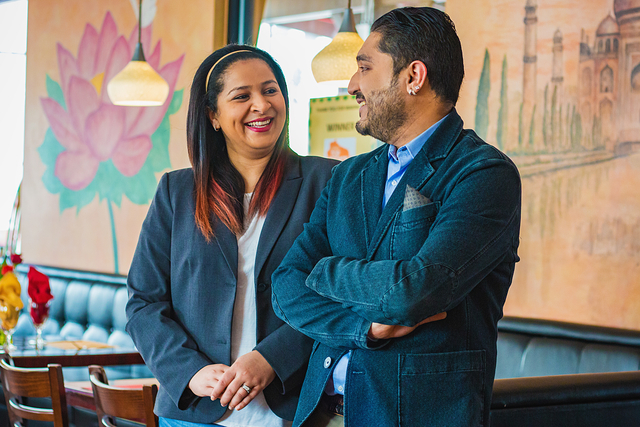 Since Saini and Dhillon started in May 2016, Rehan's restaurants have doubled their profits. "Shitanshu and Manisha have been a tremendous help to me," Rehan says. "They came in wanting to work hard and quickly proved themselves. I'm excited to know that my business is in good hands with them." It's not as if Rehan was failing without the two CUW grads, though. In fact, it was quite the opposite. 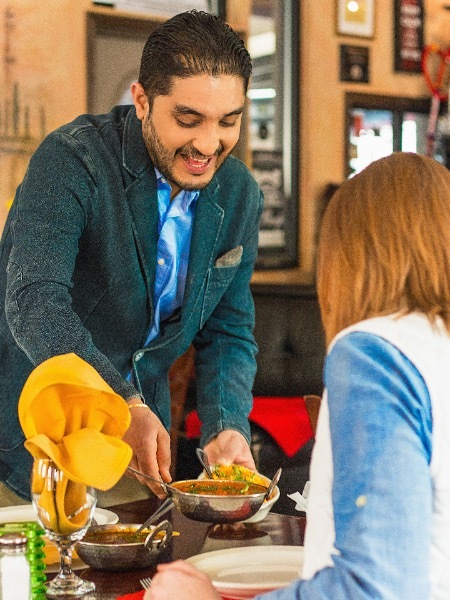 In 2011, Rehan opened his first restaurant, Café India. The fast-food-style eatery, located near Downtown Milwaukee, was met with much acclaim and success, which allowed him to expand to a second location. In 2014, he opened Café India Bar & Grill, a sit-down iteration of his original restaurant, located in Bay View. With Saini and Dhillon on board, more commendations are rolling in. Facebook users have rated Café India's curry No. 1 among Milwaukee-area restaurants. Rehan's eatery also had won the Milwaukee Journal Sentinel Top Choice Awards Best of Greater Milwaukee for "Best Curry Restaurant" in 2017. And for the past two years, OnMilwaukee readers have voted it as one of the top five Indian/Pakistani restaurants in the city during the site's annual Best of Dining poll. Soon, with Saini and Dhillon's help, Rehan will look to expand again. The entrepreneurs are scouting locations for a third restaurant, which they hope to open in 2018. Saini and Dhillon say they couldn't have done it without their Concordia education. "Practical knowledge is really important. Our professors were really good at providing that," Saini says. "We were very attentive in all of our classes, and that helped us figure it all out." The pair says support from Rehan also was crucial (he hired the attorneys who helped them through the visa application process), as was the support they received from one other. The two were friends for several years before they started their Concordia education and had started casually dating just before they left for the States. Now they're engaged to be married and have the promise of business ownership ahead of them. "We're really grateful for the support we've received along the way, and for this opportunity to study in America and do what we love," Dhillon says. "I call this home now. We love it here."